$25.00 off your first individual or joint consulting session. Limited to one $25.00 discount per family. 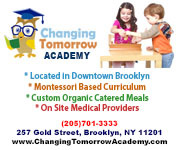 Offer valid for new Brooklyn Parent Therapy clients only.